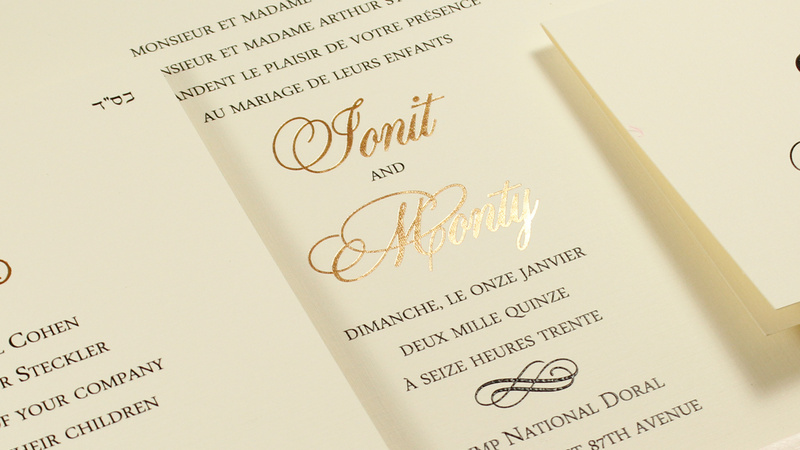 French and English worded, double-sided large sized invitation. 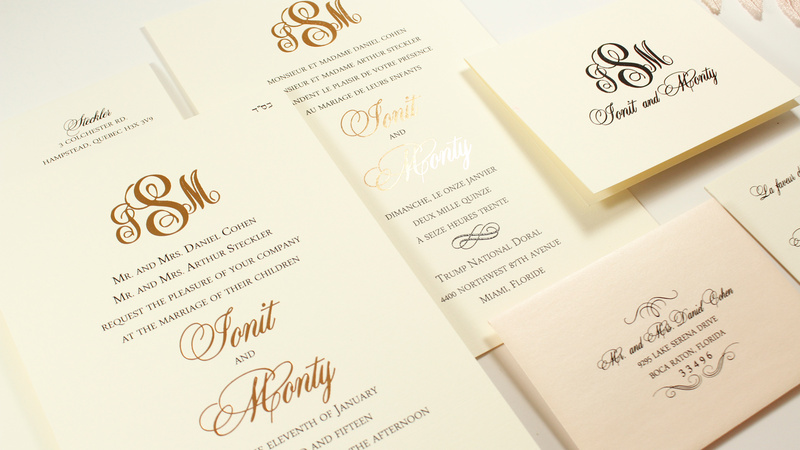 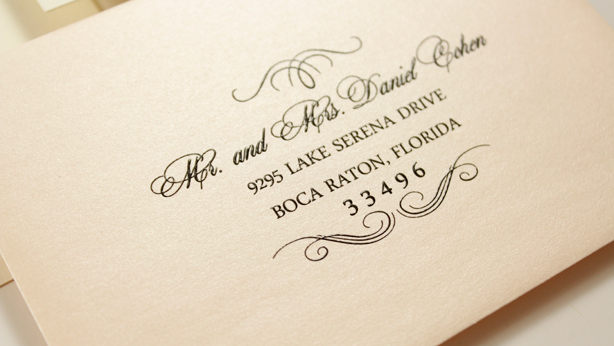 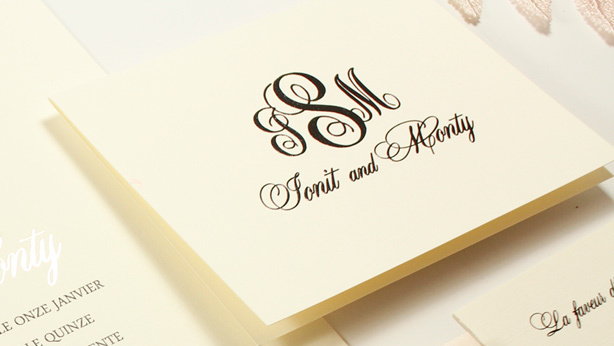 We used thick linen textured stock with rose gold foil stamping for monograms and names. 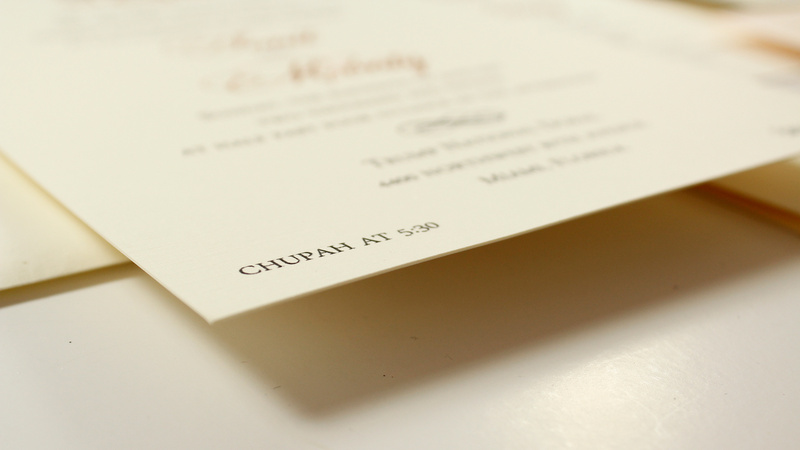 The rest of the invite is printed in black thermography.